The right tools are the key to staying safe during a storm or power outage. Eton’s arsenal of innovative safety gear makes a difference during difficult situations. They’ve got over 25 years of experience designing emergency preparedness supplies, like the Blackout Buddy. It’s a combination emergency light source/flashlight/nightlight that plugs directly into an electrical socket, where it stays—and recharges itself—until you need it. If the power goes out, you can use the strong LED light as a flashlight for up to four hours. 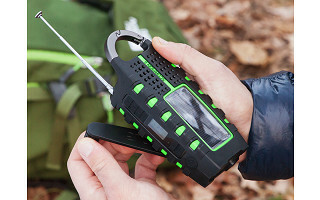 Another favorite of ours from Eton is the rugged Scorpion II—a weather-resistant emergency radio, flashlight, and smartphone charging station in one. 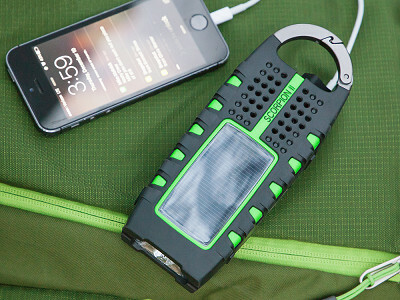 To keep you prepared, it powers up via solar panel, rechargeable battery, or hand crank. And an integrated carabiner lets you hang it up easily, too. Durable enough to take with you on a camping trip, keep stashed in your car, or to simply have on-hand at home, you’ll be glad Eton’s devices are there when you need them. 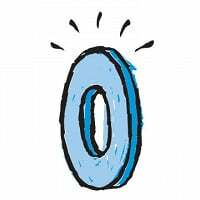 Hello Grommet Community! I'm Amy from the Daily Grommet Team, filling in for Marjan at Eton. At the office we have been testing the Blackout Buddy, and can't wait to share it with you! Eton’s Blackout Buddy allows you to rest easy knowing you have it at the ready for emergency prep. Otherwise, you have a functional nightlight that keeps you out of more domestic harms way (no more stubbed toes). Thanks to their partnership with the American Red Cross, you can be secure in knowing they’re providing top-notch safety preparation for you and your family. I would love to hear your thoughts. I am a facility manager for my company and we have our own building. I can see the Blackout Buddy helping during a power outage at work. Especially in the restrooms where it gets pitch black during the outages. Right now I use those push lights that really aren't very efficient. Definitely going to order some of these. @ Nancy Not to take away from this great product but all commercial buildings are required by the National Electrical Code to have emergency backup lighting in bathrooms and it shall be permanently connected to the premesis wiring. As you are the facility manager, I recommend looking into this because in addition to making your building more ADA and NEC compliant, it may also save you money on facility insurance premiums. Oh, I wish I'd had 3 or 4 of these at my client's house a couple weeks ago. We lost power, and even though I'd checked all the flashlights at the beginning of my shift and knew where they all were, it was STILL a chore to find one, gather up all the others, and light his room with them while figuring out what to do next. Thank goodness the power came on after about 20 minutes, but. . . I think I know what's for Christmas at his house this year! My question is, what is the normal life expectancy of this product before it would need to be replaced or would run risk of not holding a charge or some other similar use effective issue? As for the question about life expectancy, we have contacted the founder about this and will respond as soon as we hear back. Thanks again. The right tools are the key to staying safe during a storm or power outage. Eton’s arsenal of innovative safety gear makes a difference during difficult situations. They’ve got over 25 years of experience designing emergency preparedness supplies, like the Blackout Buddy. It’s a combination emergency light source/flashlight/nightlight that plugs directly into an electrical socket, where it stays—and recharges itself—until you need it. 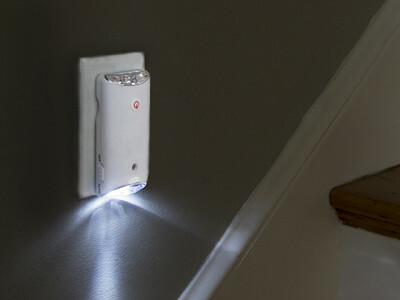 If the power goes out, you can use the strong LED light as a flashlight for up to four hours. 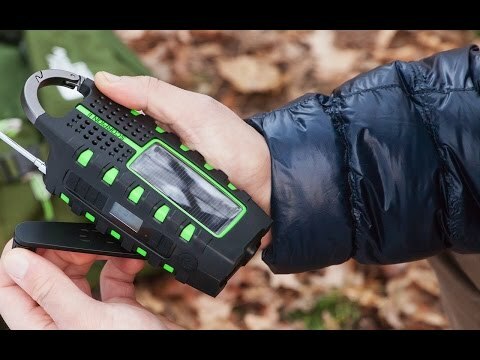 Another favorite of ours from Eton is the rugged Scorpion II—a weather-resistant emergency radio, flashlight, and smartphone charging station in one. 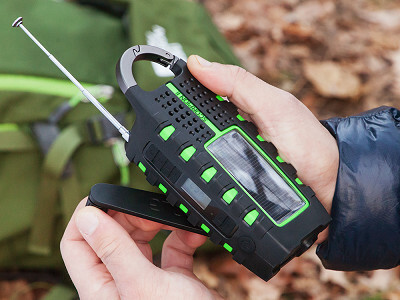 To keep you prepared, it powers up via solar panel, rechargeable battery, or hand crank. And an integrated carabiner lets you hang it up easily, too.